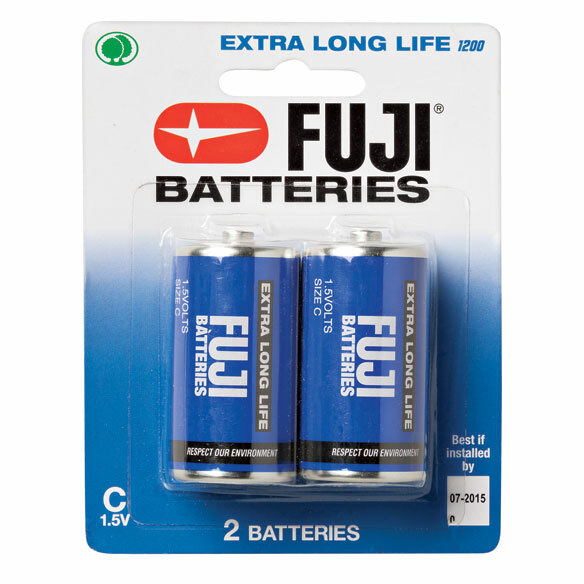 Stock up and save on long-life Fuji C batteries. Free of mercury and cadmium, they’re ideal for all your battery-powered electronics: remotes, clocks, flashlights, radios and more. I am not able to shop in stores; this is the best way to keep supplied, & I have not had any problem with this brand. The 'sweet' part is the price. I ran out of these batteries at the time I was ordering and I liked the price.